Dr. Kripalani is a Professor of Medicine and Director of the Center for Clinical Quality and Implementation Research. He previously founded and served as Chief of the Section of Hospital Medicine at Vanderbilt. Dr. Kripalani has developed, implemented, and evaluated numerous interventions to improve the quality, safety, and value of health care delivery, with a focus on health communication, medication management, and transitions of care. He has experience in the development of evidence-based toolkits, mentored implementation programs, qualitative and quantitative evaluation of interventions in clinical practice, and de-implementation of wasteful practices. He graduated from Rice University, received his MD from Baylor College of Medicine, and trained in Internal Medicine at Emory University, where he also completed a Hospital Medicine Fellowship and a Master of Science in Clinical Research. In 2005, he received the Society of Hospital Medicine Young Investigator Award of Excellence. In 2009, he was inducted into the inaugural class of Senior Fellows in Hospital Medicine. He was named a Top Hospitalist by the American College of Physicians in 2012. Dr. Kripalani’s research is funded by the National Institutes of Health, Agency for Healthcare Research and Quality, Centers for Medicare and Medicaid Services, and Patient Centered Outcomes Research Institute. 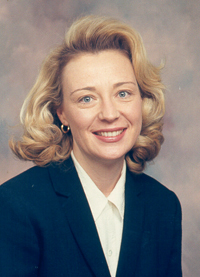 Kerri Cavanaugh M.D., M.H.S. 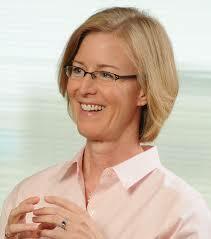 received her bachelor´s degree in Chemistry and Psychology from Dartmouth College in 1995. She received her M.D. from Yale in 1999. After this, Dr. Cavanaugh completed an Internal Medicine Residency and fellowship in Nephrology in 2005. During this time she also served as Chief Resident of Internal Medicine at Johns Hopkins Hospital. In 2006, she graduated from the Johns Hopkins Bloomberg School of Public Health with a Masters in Health Science (M.H.S.) degree with a focus in clinical epidemiology. 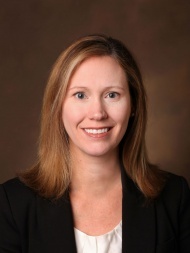 In 2006, she joined the faculty at Vanderbilt in Internal Medicine Division of Nephrology and the Vanderbilt Center for Health Services Research. Dr. Cavanaugh´s current research focuses on exploring the role of patient awareness and education regarding chronic disease self-management. This includes elucidating the role of health literacy and numeracy in the communication between patients and providers as well as potential barriers to effective self-management in patients with diabetes, hypertension and kidney disease. She has been funded by the NIH and the National Kidney Foundation. ​Dr. Mayberry received her bachelor’s degree in Psychology from Vanderbilt University in 2006. 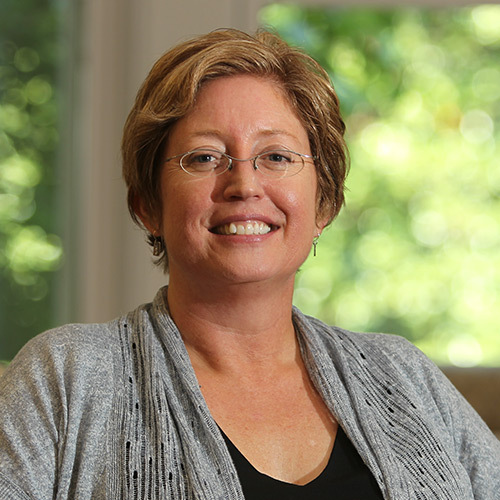 In 2008, she received her master’s degree in Community Counseling, with an emphasis on couples and families from the University of North Carolina, Greensboro. 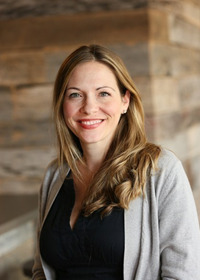 She completed her Ph.D. in an interdisciplinary program called Community Research and Action in the department of Human and Organizational Development at Peabody College, Vanderbilt University in 2012, and began a postdoctoral fellowship in Health Services Research at the Vanderbilt University Medical Center. Her research focuses on families’ experiences with the health and mental health care systems, and interactions between family members and health care providers in the context of chronic illness. Her current work focuses on the role of family member support in diabetes self-management behaviors among adults to inform the development of family-based interventions. Dr. Beskow received her B.S. in nutrition from Iowa State University and her M.P.H. with a concentration in health law from Boston University. She completed her Ph.D. in Health Policy and Administration, with a minor in Epidemiology, at the University of North Carolina at Chapel Hill. She is currently Professor of Health Policy at the Vanderbilt Center for Biomedical Ethics & Society and the Department of Health Policy in the Vanderbilt University School of Medicine. Her work focuses on ethics and policy issues in biomedical research—particularly human subjects issues in large-scale genomic and translational research. She has been a Principal Investigator on empirical studies of research recruitment, informed consent, confidentiality protections, the return of research results to participants and families, and the research use of electronic health records. Dr. Cronin received his M.D. from The Ohio State University. 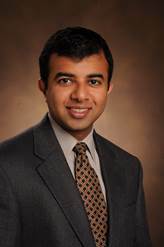 He completed his residency in Internal Medicine and Pediatrics at Vanderbilt University Medical Center and went on to complete an NLM fellowship in Biomedical Informatics at Vanderbilt University. 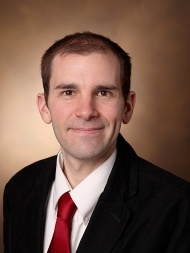 Dr. Cronin is an Assistant Professor of Biomedical Informatics, Internal Medicine, and Pediatrics in the School of Medicine at Vanderbilt University. His research interests focus on identifying and managing information that patients and caregivers need when interacting with health, disease and the healthcare system. His current work focuses on developing tools that would engage patients by identifying consumer health information needs and classifying them into related taxonomies. His long-term goals are to find ways to meet these information needs through novel applications like patient portals and mobile technologies. Dr. Heerman is currently an Assistant Professor in the Department of Pediatrics. He completed his medical degree in 2008 and residency in 2012 at Vanderbilt. He also completed his MPH at Vanderbilt in 2014. His professional interests are in primary care med-peds and in looking for solutions to the pediatric obesity epidemic with community engaged research. He is a vibrant researcher, an outstanding clinician, and a beloved medical educator. Pamela Hull, Ph.D., is a medical sociologist with expertise in the development, testing, and dissemination of behavioral interventions to promote cancer prevention behaviors in youth. Her research specifically focuses on increasing HPV vaccine use, healthy eating, and physical activity, using implementation science and technology-based applications. Much of her work addresses health disparities among African American, Hispanic, and low-income populations, in collaboration with community partners. Dr. Hull has over 12 years of experience as an investigator conducting community-engaged research. She earned a Bachelor degree in Sociology from Duke University and a Masters and Ph.D. in Sociology from Vanderbilt University. 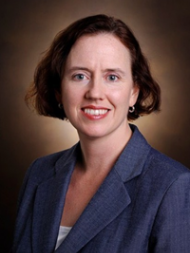 Dr. Jackson is an Associate Professor of Surgery, Pediatrics, and Biomedical Informatics at Vanderbilt University Medical Center and the Acting Director of Graduate Studies for the Department of Biomedical Informatics at Vanderbilt University. Dr. Jackson is an accomplished clinical surgeon and internationally recognized informatician with over 25 years of contributions to surgical science, informatics research, and innovations in health information technologies. She earned her Ph.D. in Medical Informatics at Stanford University in 1997, and she held informatics faculty and leadership positions at three universities during her surgical residency and fellowship. Dr. Jackson’s current research is focused on empowering patients and families through health information technologies. She is the research director of the My Health at Vanderbilt patient portal, and her work explores the use of and disparities created by such technologies. Dr. McNaughton attended Brigham Young University, followed by Washington University in St. Louis for medical school. Following residency training in emergency medicine at Vanderbilt in emergency, she obtained a Masters of Public Health from Vanderbilt, completed the two year VA Quality Scholars fellowship, and a doctoral degree in epidemiology. In addition to a focus on hypertension among patients who seek emergency care, her research interests include health determinants for patients with diabetes and heart failure, health communication, and resistant hypertension. Dr. McNaughton’s research interests include determinants of hypertension control such as numeracy, health literacy, and medication adherence, with an emphasis on patients who seek care in the emergency department. Dr. Mulvaney received her doctorate in Clinical Psychology from the University of Arizona in 2002. There she specialized in pediatric psychology, research design, and program evaluation. In 2002, she completed her Clinical Internship in Pediatric Psychology at Fletcher Allen Hospital of the University of Vermont. Dr. Mulvaney completed a post-doctoral position as a Research Associate in the Center for Evaluation and Program Improvement at Peabody College, Vanderbilt University. 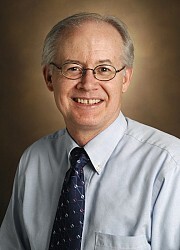 Dr. Mulvaney's current research includes development and testing of technology-assisted (Internet, mobile, informatics) patient and family health-related behavior change systems; improvement of self-management and related skills in pediatric diabetes, obesity, and other chronic illnesses; development of systems to support diabetes self-management problem solving skills; utilization of social learning mechanisms to support diabetes self-management; and design and testing of mobile behavioral assessment systems. Dr. Rothman is a Professor of Internal Medicine, Pediatrics and Health Policy, and the Vice President for Population Health Research at Vanderbilt. He also serves as the Director of the Vanderbilt Center for Health Services Research and Chief of the Internal Medicine/Pediatrics Section. 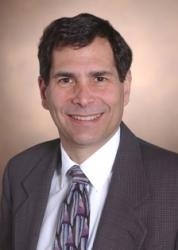 Dr. Rothman received his bachelor's and medical degrees from Duke University. During this time he also completed a master's in Public Policy (M.P.P) at the Sanford Institute of Public Policy at Duke. After this, Dr. Rothman remained at Duke where he completed a combined Internal Medicine and Pediatrics residency in 2000. From 2000 to 2002, he served as a Robert Wood Johnson Clinical Scholar at the University of North Carolina in Chapel Hill. In 2002, he joined the faculty at Vanderbilt. Dr. Rothman's current research focuses on improving care for adult and pediatric patients with diabetes, obesity and other chronic diseases. He has been funded by the NIH, American Diabetes Association, and other sources to examine the role of literacy and numeracy in patients with diabetes and obesity. He has been the Principal Investigator on over $35 million in extramural funding and has authored over 100 manuscripts. He is currently the Principal Investigator on several NIH funded studies addressing literacy and health communication in obesity prevention and diabetes. 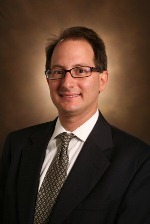 Since January 2011, Lane Stiles has been the Director of Patient Education for Vanderbilt University Medical Center, a department that he was brought to Vanderbilt to create. He is responsible for all aspects of patient education across the clinical enterprise, including clinical governance and the integration of content into both clinician- and patient-facing systems. In addition to working with electronic content from an outside vendor, Stiles and his team develop patient materials internally in various media as needed. They also review and format all patient-facing communications for readability and usability. Stiles is involved in numerous other health literacy initiatives as well. For example, he trains and advises clinical staff, medical students, and advance practice nursing students on patient-centered communication and patient engagement. Dr. Wallston recently transitioned to becoming an emeritus professor of nursing after over 40 years on faculty at Vanderbilt. 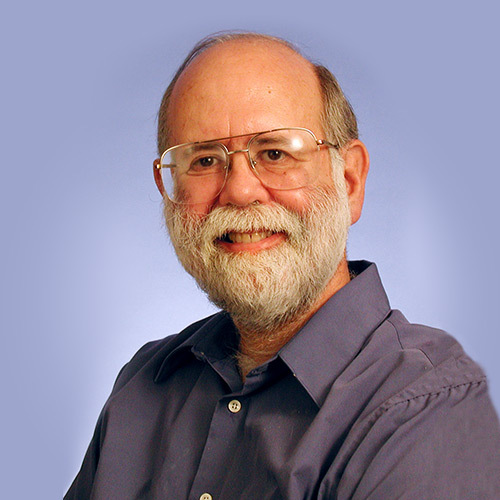 Ken Wallston is one of the founders of the field of health psychology, and he has many interests in the interdisciplinary arena of behavioral medicine, including: adaptation to chronic illness; perceptions of control related to health behavior and health status; effects of psychological interventions on mental and physical health; health literacy and numeracy; health communication; and health promotion. In the 46 years Dr. Wallston has been at Vanderbilt he has been the PI, co-PI, or co-Investigator on over 30 research grants related to a variety of topics in behavioral medicine. Professor Wallston will continue collaborating with the Center fo Effective Health Communication during his retirement. Dr. Weinger holds the Norman Ty Smith Chair in Patient Safety and Medical Simulation and is a Professor of Anesthesiology, Biomedical Informatics, and Medical Education at Vanderbilt. He is the Director of the Center for Research and Innovation in Systems Safety (CRISS) that specializes in human factors, informatics, simulation, and quality improvement research and implementation. He holds a Bachelor's degree in electrical engineering and a Master's degree in Biology from Stanford University. He completed his MD degree at the University of California–San Diego and did his anesthesiology residency training at the University of California–San Francisco. Dr. Weinger has been teaching and conducting research in patient safety, human factors, health services research, biomedical informatics, healthcare simulation, technology development/evaluation, and clinical decision making for a quarter century. Other active projects address issues of teamwork and communication, the effects of interruptions of care, and the analysis of patient safety events. Dr. Weinger has received nearly $7 million in direct research support from federal agencies and major non-profit foundations. He has mentored dozens of junior faculty (two currently on foundation grants), as well as 12 post-doctoral fellows, 3 PhD students, and almost 100 pre-doctoral, medical, and undergraduate students. 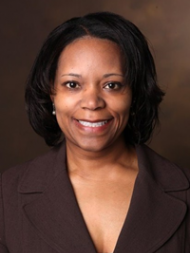 Dr. Wilkins is the Executive Director of the Meharry-Vanderbilt Alliance, a strategic partnership between Meharry Medical College and Vanderbilt University Medical Center. Her primary responsibilities include developing and supporting collaborative initiatives and programs in biomedical research, community engagement and interprofessional learning. She holds appointments as Associate Professor of Medicine at both Vanderbilt University Medical Center and Meharry Medical College. As co-director of the Meharry-Vanderbilt Community-Engaged Research Core in the Vanderbilt Institute for Clinical and Translational Science, she brings together academic researchers and community members to improve community health and healthcare through community-engaged research. Dr. Wilkins is widely recognized for her work in stakeholder engagement and is Principal Investigator of a Patient Centered Outcomes Research Institute (PCORI) Research Award focused on Improving Patient Engagement and Understanding Its Impact on Research. 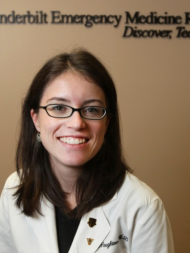 Sarah is a Clinical/Translational Research Coordinator at Vanderbilt University Medical Center. 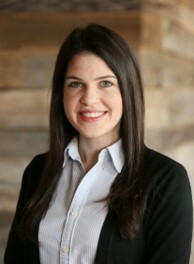 She received her Bachelors and Masters degrees in Medicine, Health, and Society from Vanderbilt University and has 5 years of clinical research experience. Sarah works on various operational and research initiatives across the Center for Effective Health Communication and serves as the Effective Health Communication Program Coordinator.